Anyone who is not in another specific category will fit this group. The Louisiana Child Welfare Training Academy is hosting the Complex Trauma Conference on April 5, 2019. Complex trauma describes both children’s exposure to multiple traumatic events—often of an invasive, interpersonal nature—and the wide-ranging, long-term effects of this exposure. These events are severe and pervasive, such as abuse or profound neglect. They usually occur early in life and can disrupt many aspects of the child’s development and the formation of a sense of self. Since these events often occur with a caregiver, they interfere with the child’s ability to form a secure attachment. Many aspects of a child’s healthy physical and mental development rely on this primary source of safety and stability. Learn more about the basics of Trust-Based Relational Intervention (TBRI) as a therapeutic model for caregivers to provide effective support and treatment for at-risk children. Dr. Jones is a Professor of Psychology at Virginia Tech University, and a Clinical Psychologist who specializes in trauma psychology in the areas of natural and technological disasters as well as interpersonal violence. He is also an expert in the behavioral sciences. A related area of study is Disaster Preparedness. Among consequences of trauma studies include Post-traumatic stress disorder, Depression, and Post Traumatic Growth. Assessment, conceptualization, and treatment of consequent psychiatric and psychosocial disorders also serve as a major topic of interest. Co-editor of Behavior Therapy and Black Populations: Psychosocial Issues and Empirical Findings. As an experienced clinician and researcher with traumatized children he has published extensively and spoken to both national and international audiences. A Fellow of the American Psychological Association (APA) he has served as a member of the Board of Directors for Division 12(Clinical) for several years. He served as a member of the Board for the Advancement of Psychology in the Public Interest and a liaison to the Child, Youth and Family Committee, both within APA. He is the founder and director of REAACT (Recovery Effort After Adult and Child Trauma). He frequently serves as a reviewer for NIMH and the Substance Abuse and Mental Health Services Administration (SAMHSA) and is a consultant to the Disaster Technical Assistance Center. 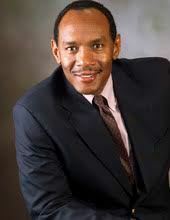 He has appeared on CBS News, BBC, PBS, C-Span, Dr. Oz, Oprah and in other radio/internet media outlets. Lunch will be provided to attendees. $25 registration fee. YOU MUST PRE-REGISTER. No on-site registrations accepted. Registration to this event is limited. All registered attendees will receive an emailed confirmation. DCFS child welfare team members must go through supervisors and the DCFS training office to obtain authorization to attend. Foster Parents must contact Connie Riddle at the LCWTA office by email, indicating you want to attend: lcwta@selu.edu. Southeastern LA Students should contact their social work instructors or the LCWTA office on campus to indicate your interest in attending the conference. Volunteers needed.